Beginning in January 2018, local artist Ashley Cecil will begin a six-month artist residency in the Richards-Zawacki Lab. The collaboration is part of a larger multi-year project where the artist will engage the public in scientific inquiry and nature appreciation through artwork and educational experiences inspired by the R-Z Lab and other hosts’ research and specimen collections that connect people to nature and explain how changes in our environment impacts life on this planet. 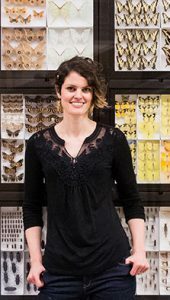 Ashley’s interest in such cross-disciplinary projects took shape during a similar residency at the Carnegie Museum of Natural History in 2016. 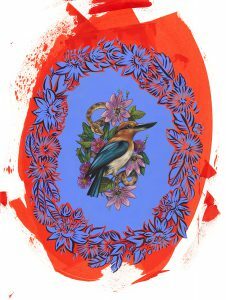 Ashley is a Pittsburgh, Pennsylvania-based artist and illustrator specializing in paintings of flora and fauna that illustrate the interconnectedness between the natural world and its inhabitants. 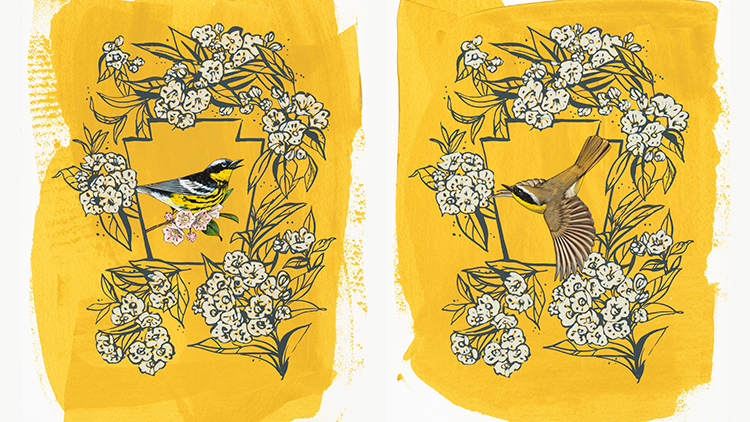 Her love affair with all things organic and wild blossomed as the result of studying landscapes with accomplished master painters in London while earning her master’s degree at the Sotheby’s Institute of Art, immersing herself in vast collections of nature-inspired textile patterns in European museums, painting from live observation at conservation institutions such as the National Aviary, and collaborating with scientists to make research visually relatable to a broad audience.